Since 1968 “How Sweet it is”. 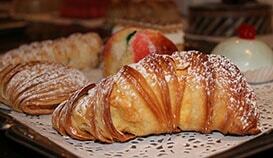 Pasticceria Alati-Caserta - Part of your celebrations for over 50 years. All recipes are made from scratch and from quality ingredients, and everything, from the dough to the frosting, is done in-house. Freshness is always a priority, and they take every step to ensure you’re getting nothing but the best. 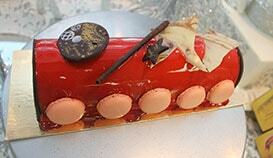 We will treat you to a world of sweetness and 50 years of caring and tradition. 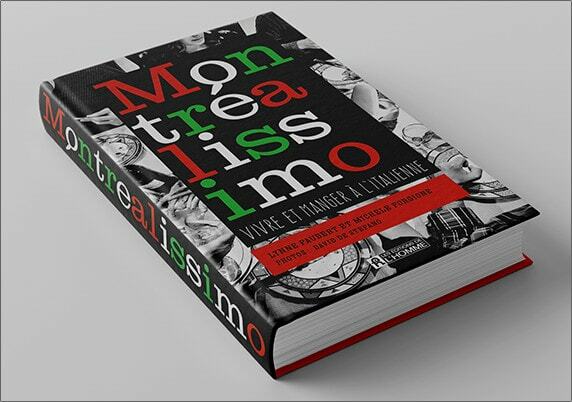 The hustle and bustle, the sights and sounds and the uniquepersonality of Montreal’s little Italy attracts both locals and tourists throughout the year. 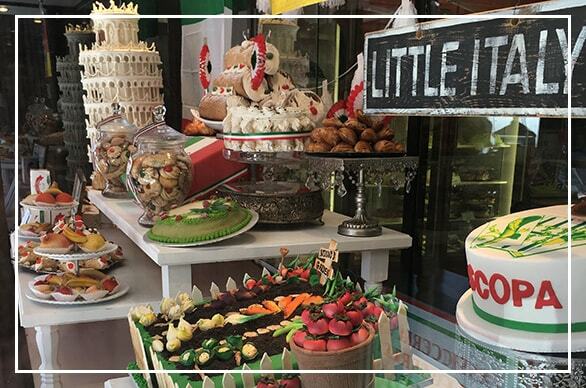 At the centre of this experience Pasticceria Alati-Caserta lures you inside its doors where the sweet aroma and the display of delectable Italian delicacies create an irresistible temptation for your taste buds. Since 1968 - How sweet it is! When entering the charming and cozy pastry shop,customers instantly get a feeling of “coming home” and wanting to try the entire vast assortment of pastries, cookies and cakes. The possibilities are endless when it comes to choosing what to indulge in. 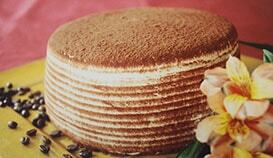 Will it be the almond cake -Alati-Caserta’s signature cake, the famous Sicilian cannoli ? Or maybe a melt-in-your-mouth Italian biscotti? You mull over the decision and enjoy the anticipation…. of Little Italy and Jean-Talon Market. Pasticceria Alati-Caserta a pioneer in the world of baking. 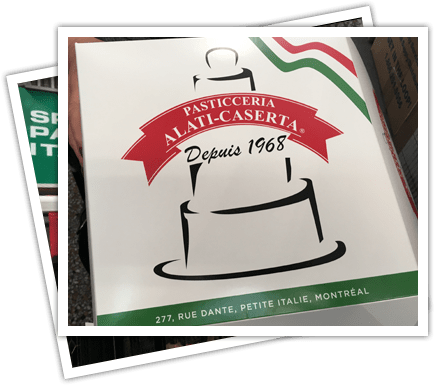 Pasticceria Alati-Caserta has proudly been in business since 1968. Vittorio Caldarone and his wife, Maria Di Meo opened their first shop on Saint-Viateur Street, and then settled in Little Italy because of its bigger location. 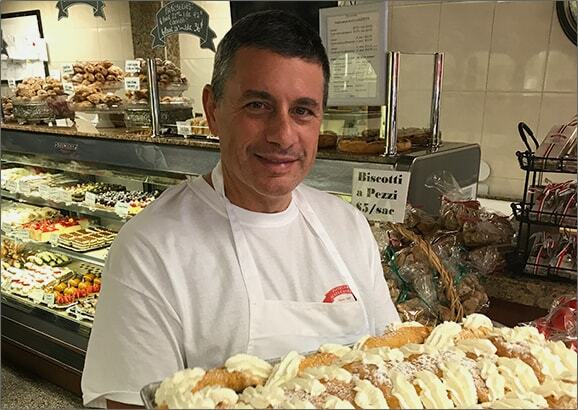 Their son, Marco grew up surrounded by life in a pastry shop, and now runs Pasticceria Alati-Caserta along with his wife, Linda. Even though they make up the new generation, they will never forget their roots and the hard work their parents put into establishing such a prominent pastry shop. Vittorio is a trained pastry chef who studied in both Italy and Switzerland, and taught Marco the craft along the way. All the recipes were brought from Italy; all had traditional elements that are still sought after today. Marco pays homage to his parents every day by continuing the tradition they started. It’s a family business that Marco is certainly proud of taking over and possibly passing it along to his children one day. The new generation of Alati-Caserta, together with Vittorio’s input and experience, is carrying on the tradition of offering exceptional quality products and personalized customer service. Linda Savoca joins the family and marries Marco. 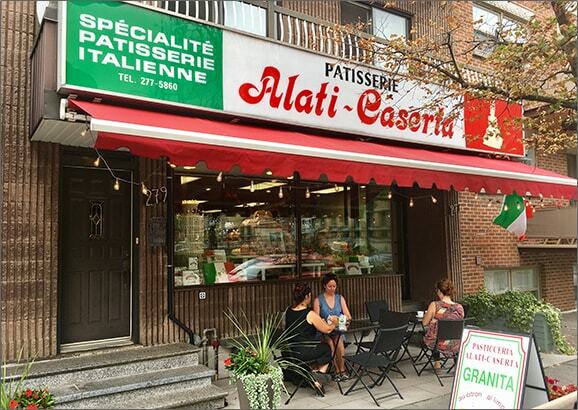 IN THE HEART OF MONTREAL'S "LITTLE ITALY"
The new generation of Alati-Caserta, together with Vittorio’s input and experience, is carrying on the tradition of offering exceptional quality products and personalized customer service. 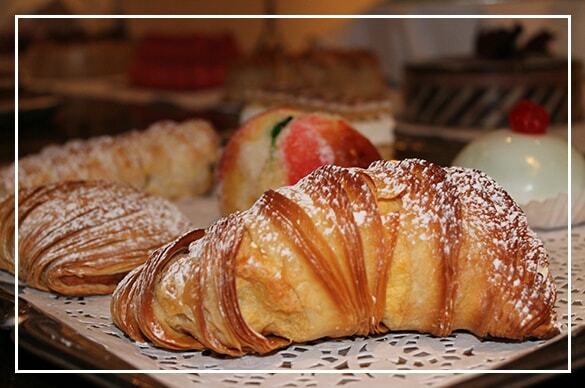 Therefore, whenever the Italian community wishes to celebrate, they contact Pasticceria Alati-Caserta. create an irresistible temptation for your taste buds. 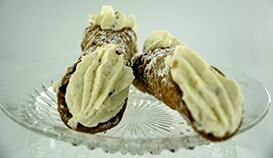 -Alati-Caserta’s signature cake, the famous Sicilian cannoli ? 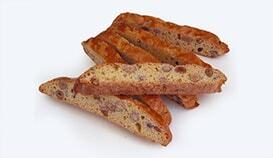 Or maybe a melt-in-your-mouth Italian biscotti? You mull over the decision and enjoy the anticipation….